Combine a hefty helping of Tex-Mex conjunto, simmer with several parts Texas rock, add a daring dash of well-cured blues, R&B riffs, and you’ve cooked up the tasty Texmaniacs groove. Founded by Max Baca, the Texmaniacs are a product of his wide-ranging experience touring and recording with everyone from his father’s family conjunto, Flaco Jimenez, the original Texas Tornados, Los Super Seven, and even the Rolling Stones. Max is a legend on the bajo sexto, using it to push the Texmaniacs sound to another level of vibrancy altogether. He displays a musical virtuosity and blistering guitar riff solo style that is now being emulated by young bajo players internationally and is being credited as turning a traditional folk/roots/conjunto instrument hip again, attracting young, new audiences. Max has appeared on Conan O’ Brien, David Letterman, Jay Leno, and Austin City Limits and has been featured in several PBS docu- mentaries. In Los Texmaniacs, Max is accompanied by Josh Baca (accordion, vocals), Noel Hernandez (accordion, vocals), and Daniel De Laredo (percussion). 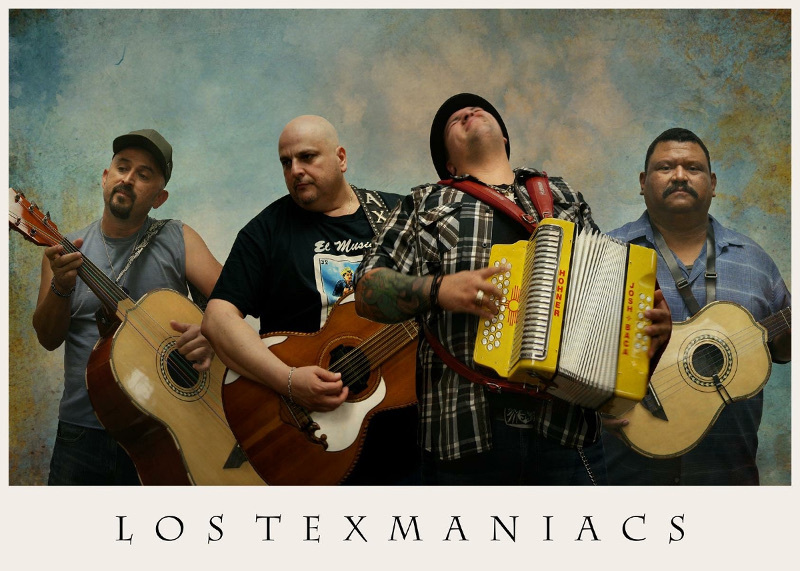 Los Texmaniacs won their first Grammy in 2010 for Borders y Bailes and their most recent release Cruzando Borders has just been nominated for a 2019 Grammy for the best regional Mexican music album. Like a great salsa the Texmaniacs mix the simplest yet finest ingredients of Texas music to create a sound solidly rooted in tradition while exploding with contemporary vitality. Los Texmaniacs have secured a rightful place in history as master musicians in their respective musical disciplines. So don’t just stay for supper-- make sure you stick around for dessert.